Civitas issues update on Westmoreland – Following the publication of the recent investment adviser’s update commentary on 30 November 2018 (which we referred to in our article), Civitas Social Housing is now providing shareholders with a further update with respect to Westmoreland. As at today’s date, 5 December 2018, Westmoreland represents 22.6% of the net asset value of the portfolio and it is anticipated this will drop to c. 15.7% of the target gross asset value once the company has borrowed 35% of its gross asset value and invested this money. After talking to JLL, the adviser believes that there is unlikely to be any detrimental effect to the NAV as a result of the recent Westmoreland summary regulatory judgement. A broker’s research note (which unfortunately we don’t have access to and you would have to pay a substantial amount of money for) speculated that there might be a 4% hit to Civitas’ NAV (related to the issue of taking a weak covenant into account when valuing properties – see the previous article). The adviser says it made it clear that their assumptions were purely subjective, and this was not something that the adviser was directing them towards. While agreeing that it is correct to state that any “Red Book” valuation will take into account covenant strength, Civitas is not of the view that this has changed in any substantive manner as a result of the publication of the regulatory judgement. 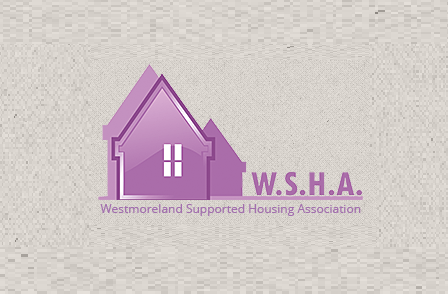 Civitas has indicated that the Westmoreland rents remain in payment and there is no suggestion that this will not continue to be the case. Underpinning the leases with Westmoreland is income due from a wide range of local authorities that provide significant income diversity as well as support from a wide range of care providers. This remains unchanged as a result of the regulatory judgement as does the fact that tenants who reside in Civitas properties are likely to do so for many years or in some cases for decades to come. There are Civitas leases with Westmoreland in respect of 109 properties with 624 tenancies and this is supported by rent and service charge payments to Westmoreland due from 53 separate local authorities, each of whom is responsible for nominating the tenants, and 27 individual care providers that provide the care packages for the tenants and who agree void/rent support with Westmoreland. In addition, Westmoreland also has the ability to benefit from certain deposits and security that Civitas has negotiated with certain vendors to provide additional rent support and void protection should that be required. The Civitas portfolio is now the largest and most diversified portfolio of Specialist Supported Housing in England and Wales. Rental income is being received from 142 local authorities and supported by 94 care providers. Civitas rejected more than £400 million of properties deemed unsuitable for the portfolio. Civitas provides housing for 3,619 tenants which have been specifically placed by local authorities in the properties with rental and care packages, which have been individually agreed with the intention of long-term provision. Many of the tenants in Civitas properties may be in residence for many years or decades. At the present time the average age of a Civitas tenant is 36 years. Housing associations in England and Wales have an excellent track record in meeting their commercial obligations including within the Specialist Supporting Housing sector. Civitas works with 15 of these and says that they have an excellent track record in meeting their obligations under their leases to Civitas, paying rent and managing the properties. In saying this Civitas notes the issues surrounding First Priority in February this year and the understandable uncertainty and concern that caused. It also notes the various grading under review notices and regulatory judgments being issued by the Regulator of Social Housing. With respect to First Priority, Civitas reminds us that it was able to assign the First Priority leases to another relevant housing association on the same terms (plus securing a 15-year lease extension that enhanced capital values). It also says that, in n respect of housing associations with grading under review, there is no indication that these organisations will not meet their obligations under their leases.